One of my regular blog reader ask for some advice on how can he remove huelar virus. He said that the only way he knows to remove that pesky virus is to reformat the PC. He ask if there is any possible and alternative way on removing this virus without the need to reformat the PC. Well my friend here is the solution to your problem. First I will give you an idea about huelar virus. Huelar virus is actually a worm. Once your computer is infected it spreads very fast through your local area network and sends Autorun.inf in every computer connected to the network. It creates the huelar.exe, winlogos.exe and huelarkill.exe folders in your Windows system files directory. 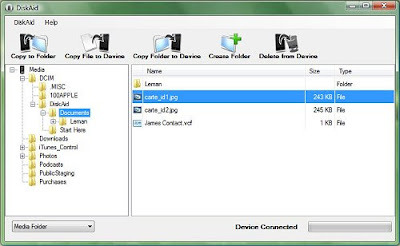 It creates a copy of your files and folders and converts them into executables. Once a folder or file is clicked, it will create another copy of the virus, making it very hard to remove. This virus also disables your registry editor and task manager and also your folder options. 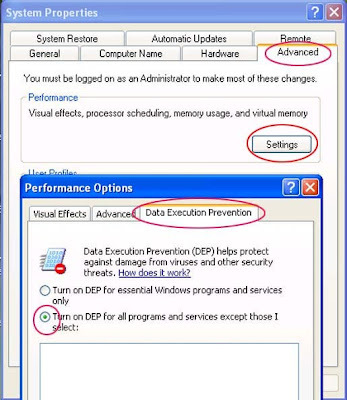 First thing that you should do is to disable your autorun, turn off your system restore, start your windows on safe mode, and scan your computer with an updated antivirus. If your antivirus fails to remove this virus, we will now have to delete it manually. First we will create a batch program to delete all the possible entries of this virus. 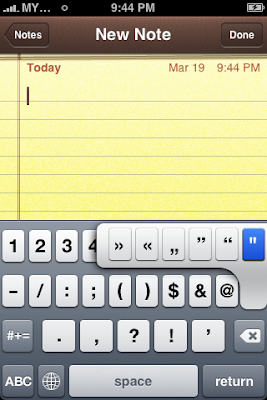 Open your notepad then copy and paste the following codes. Next is, we will do a registry entry. 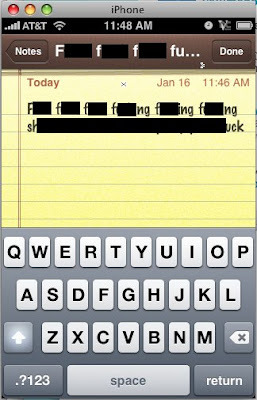 Open your Notepad again and copy and paste the following code. Huelar virus should now be gone on your system. 1. 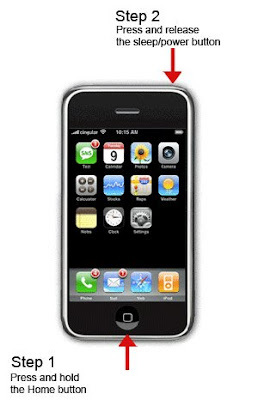 Press the ON/OFF button and the STOP/RESET button at the same time. 2. Press the ON/OFF button and then press the STOP/RESET button twice to enter maintenance mode (you should see a 0 value on your MP145 LED indicator). 3. Press the STOP/RESET button 4 times to reset the waste ink counter. 4. Turn off your printer. 5. Turn on your printer. 6. If unsuccessful go back to first step and try again until you get your desired result. I’ve been receiving tons of questions on how to check if their PSP can have custom firmware installed. Here’s a complete and concise guide to get you going. Make sure to read through the guide fully since it will answer all your psp motherboard related questions. So why install Custom Firmware on a PSP? People install Custom Firmware so they can run Homebrew, programs developed by people that don’t have a contract with Sony. A PSP with Custom Firmware could also back up your games from the UMD to your computer; it also allows you to play those backups from your Memory Stick (MS). 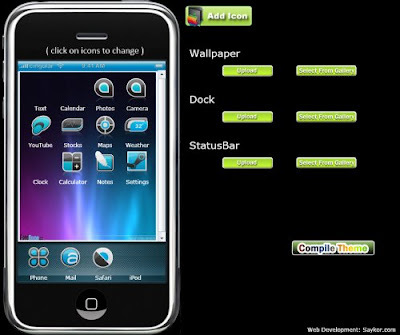 You could also do some serious customizations to your theme. Basically, you free your PSP from the hands of Sony. Why can’t I install Custom Firmware on my PSP? Your PSP probably has a TA-088v3 (Found in some 2000 series units) or TA-090v2 (Found in all 3000 series units) motherboard, which are, to-date, still aren’t supported by the current Custom Firmware versions so you can’t install it on them. 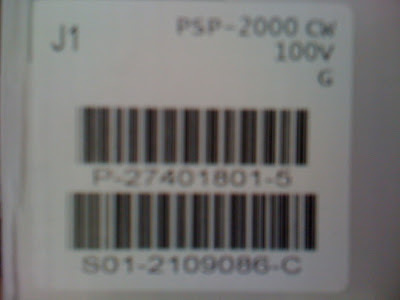 All 1000 Series (or PSP Phat) PSPs are crackable to date. 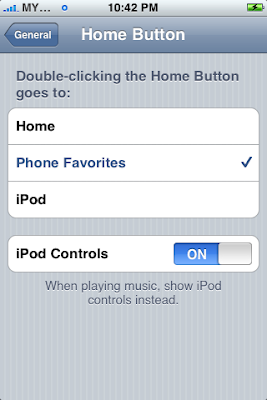 You can use Pandora and an MMS to install Custom Firmware or some other method. The 2000 Series is a split family. It has 3 generations, differentiated by the motherboard installed on them. 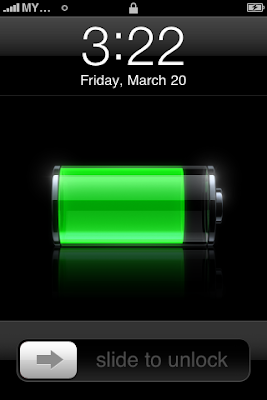 1) 1st Generation 2000 Series uses TA-085xx and is supported by Custom Firmware. 2) 2nd Generation 2000 Series uses TA-088v3 and is not supported by Custom Firmware. 3) 3rd Generation 2000 Series uses TA-090v1 and is supported by Custom Firmware. So if you have a PSP Slim and don’t have TA-088v3 motherboard, rest assured that you can install Custom Firmware on it. 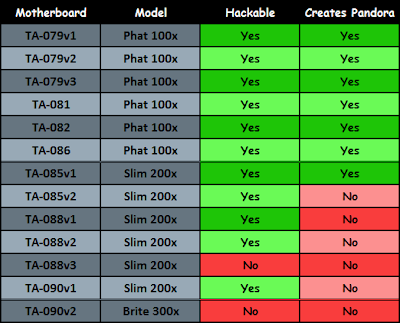 All 3000 Series (or PSP Brite) have the TA-090v2 Motherboard, which is still unsupported by Custom Firmware. Sony has made the latest iteration of the PSP hardware secured under a bigger lock and key. A few enterprising people claim to have the PSP-3000 hacked but it’s nothing more than smoke and mirrors. We all know how to tell if a PSP is a PSP 1000 because of it’s bulk. The same goes for the 3000 Series because of the PSP-3000’s features. What’s difficult is telling if your PSP Slim (PSP-2000) can have Custom Firmware installed. 1) What is the Firmware the PSP came with? If you’ve bought a PSP with Official Firmware higher than 4.01, chances are it doesn’t support Custom Firmware, any attempt to install it will be met with a Game could not be started error. Note: If you updated the PSP or the PSP you’ve bought has been upgraded before you got your hands on it then you need to find out what was the first firmware installed on it as the list above only applies to said version. 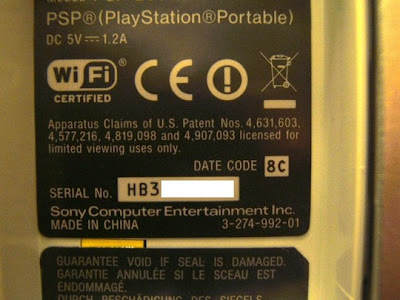 2) What is the PSP’s Serial Number? 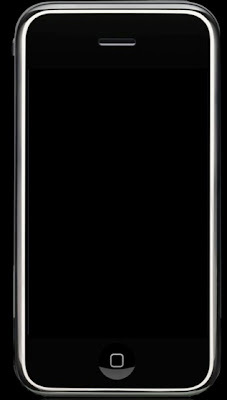 Note that this applies to Piano Piano Black PSPs (for now). If the serial starts with HU2, then the PSP most likely has a TA-088v3 Motherboard. Any other serial (Say starting with HC or HB or HJ) can have CFW installed. Note that this label is only present on the normal PSP box and not those large “Limited Edition” ones. Anyways, See the G there? 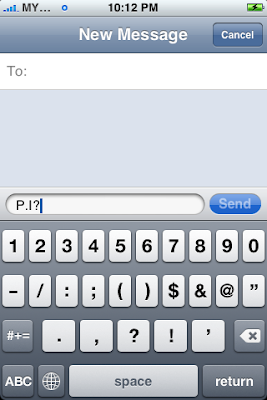 If the letter is absent or is from A to F, then you can install Custom Firmware. If it’s a G then you can’t. 4) What’s the Box’s Serial Number? If your box doesn’t have a label with a letter in it, like the G in the third method, then it should have a label with another serial that’s not related to the PSP unit. 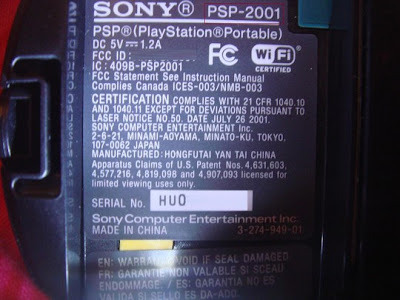 Note that American 2000 series (2001 PSPs) & Japanese PSPs (Both 1000 series & 2000 series) Don’t have those date codes on them, just like the 2001 Piano Black PSP pictured above. It’s pretty straight forward. If it doesn’t work, it’s a TA-090v1 or TA-088v3 meaning you can’t install anything on it. 6) Got a limited Edition PSP? Now, if you’re still not sure how to proceed, ask a friend who’s familiar with Custom Firmwares to check for you. If you have a suggestion or a question, just post a comment. New Folder.exe virus is a more severe virus with some unusual effects. New Folder.exe virus disables the task manager, folder options, registry editors and creates .exe’s and folders throughout the file system. If you have the New Folder.exe infection, try this fix to remove it from your computer! 3. Rightclick on the SDFix.zip folder and choose Extract All. Open the extracted folder - C:\ SDFix and doubleclick on RunThis.bat to start the script. 4. 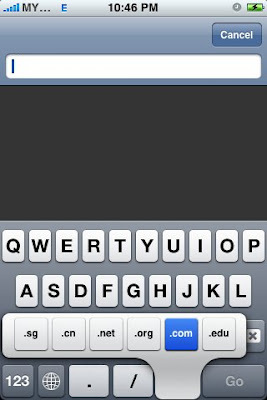 Type in Y and it will run the script. It will automatically remove some registry keys that are/have been infected. Once that has been complete, it will ask you to press any key to reboot– it’s ok to reboot at this moment. 5. Your computer will be slower on reboot but that is normal for this process. Once your machine boots into the operating system, the utility will complete the removal process. When it is done, press any key and your desktop will load like normal! 1) Start-> Run. Type secpol.msc to open the Local Security Policy window. 2) Click on Software Restriction Policy-> Additional Rules. 3) Right-click Additional Rules-> New path rule. 4) Click Browse and navigate to c:\Program files\Avira\Antivir Desktop and select avnotify.exe. 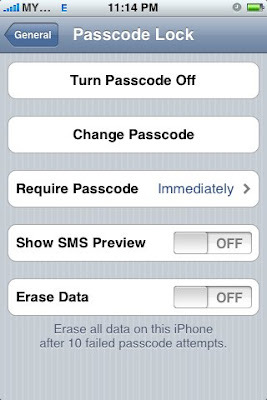 Set the security level to Disallowed-> Apply-> OK. You won’t see the nag screen again during future updates. You might know Microsoft has evolved a long way in improving their new OS Windows 7 by coming up with new builds and loads of changes embedded with it.Microsoft has also brought new changes in field of Direct X era to implement latest graphic card features for a wide vareity of Hi-end games and Digitalised features. After making DirectX 10 available for Windows Vista,now Microsoft has been working on getting DirectX 11 with Direct 3D 11 to existence.Earlier i had blogged that Win Xp users can make use of Warp 10 3d to make use of DirectX10 effects using a DirectX 9 based graphic card as Direct X 11 is not available for Xp Users. Windows 7/Direct 3D 11 Technical preview is a part of DirectX SDK and mainly contains a preview of Direct2D, DirectWrite, DXGI 1.1.Most important is that its available in DirectX End-user Runtimes.Currently Windows 7/Direct3D 11 (DirectX 11) is supported only on Windows 7 and Windows Vista. 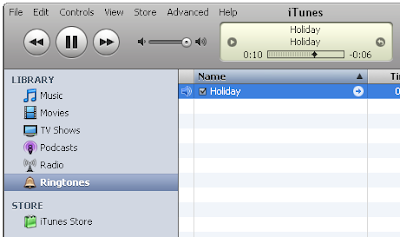 I just finished downloading it and its a 514.2 MB file. Regedit, Task Manager and cmd; These are the most common thing computer virus will target at. Before they infect any other places, they will first disable your access to those 3 and it is always an indicator for users that something is wrong. That is also the moment when people start to panicking around if they have due assignments or projects with their computers. Usually, most people will just declare a full scan using their antivirus praying to God that He still gives the computer a chance to live. No? I think it is just me then. Sometimes, after the scanning and cleaning, even though the virus itself has gone, it still may leave some traces of it: your Regedit, Task Manager, cmd and Folder Options (occasionally) are still disabled. Then what is your first approach for this? Today, I have just found out another good vbs scripts. These scripts can enable and disable your Regedit, Task Manager and cmd easily just by double clicking. The scripts are solely developed by prashanthpai, from a forum. If you find these scripts have helped you in some way, you may consider to leave a thanks for him. I know some of the antiviruses may have detected the download links as an embedded Trojan, but the scripts themselves are totally safe to use. You should not worry about that. They are detected as Trojan because the scripts can alter your Windows configuration i.e. the task manager, regedit and cmd. Bonjour, also known as zero-configuration networking or Zeroconf. It enables automatic discovery of computers, devices, and services on IP networks. Bonjour uses industry standard IP protocols to allow devices to automatically discover each other without the need to enter IP addresses or configure DNS servers (naming servers). Why Do I Have Bonjour or mDNSResponder.exe running? If you’ve installed software like Apple’s iTunes, Adobe Premiere Pro, Skype or Gizmo then you probably already a Bonjour folder in your Program Files directory. The service starts automatically and runs a process named mDNSResponder.exe which cannot be ended by Windows Task Manager. If you wanted to remove, uninstall or stop Bonjour from being on your computer then it can seam impossible to find any uninstaller for it! There isn’t even an entry for it in Control Panel’s Add or Remove Programs. What is Bonjour and mDNSResponder.exe? 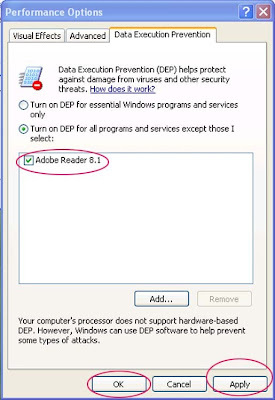 How do I safely uninstall Bonjour and remove mDNSResponder.exe process? Removing Bonjour from your computer. 1. Click on Start > Run > type the command below and hit OK. Step one above will stop and remove Bonjour Service from your computer. To confirm this, click on Start > Run and type services.msc. Look for Bonjour Service name. Congratulations if it’s not there, you’ve successfully removed it. The Gizmo Project has created a small tool TurnOffBonjour - that turns off and removes Bonjour service. But it will not remove the Bonjour folder from Program Files. You will still need to manually delete the Bonjour folder after restart (Step 5 above). The reason why you don’t delete the folder before a restart is in case there’s a problem then the Bonjour files are still there for you to restore the service. If you encountered problems after uninstalling or removing Bonjour, you can always download and reinstall Bonjour by using the following link. There is also a new wizard tool called Au Revoir, Bonjour that will remove the Apple Bonjour Service from Windows computers. 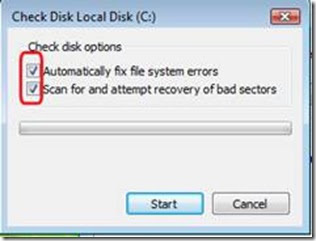 Check Disk is a tool used to verify file system integrity and is also used to locate bad sectors of hard drives. It also helps in recovering corrupted data whenever a system failure occurs that involves data integrity (i.e power failure). 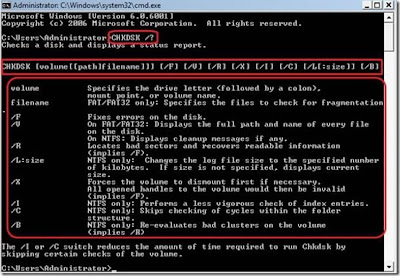 Below are steps in Windows for operating Check Disk. 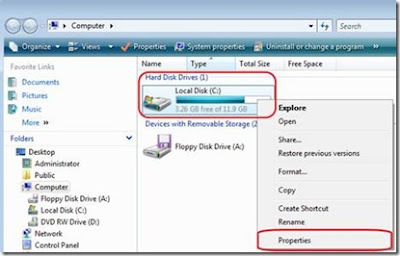 Open windows explorer and right click on the drive you want to perform Check Disk. Then select properties option to launch the properties window. In the properties window click on Tools and under Error checking click on Check Now button. 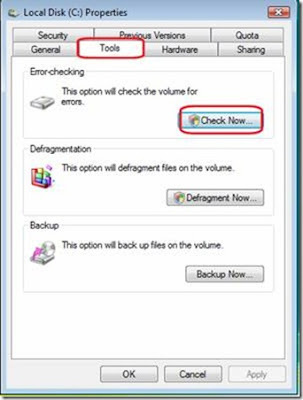 In the Check Disk option box select both options and click Start to start the checking process. You can also use the Check Disk tool on the Command Prompt. 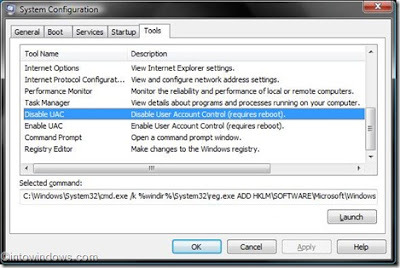 To do this click on start and type CMD on the search bar and press enter to launch the command prompt of windows. In the command prompt window type CHKDSK /? and press To see the lists of command line parameters for CHKDSK. 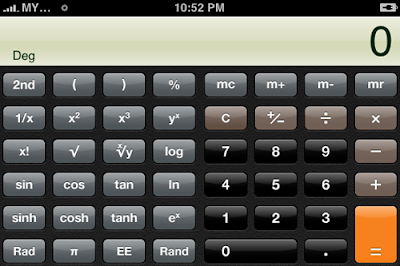 You will see here the parameters and the function of each parameter. The syntax of the command is also shown. In most cases it is enough to use the /F or /R parameters to check the disk for any errors. 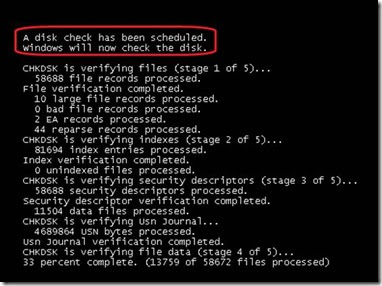 Example of using the command prompt to use Check Disk : type on the command prompt chkdsk c: /f – this command will check the disk C: using the parameter /F which means fix errors on the disk specified. Or chkdsk c: /r which will locate bad sectors and recover readable information and also fix errors on disk C.
San Rafael, California-based Autodesk recently announced the next version of its landmark AutoCAD application, this time called AutoCAD 2010. The Test Center spent some time looking at the Release Candidate beta, which launched Tuesday. Installation isn't any different from most applications, with the typical defaults being fine for most users. 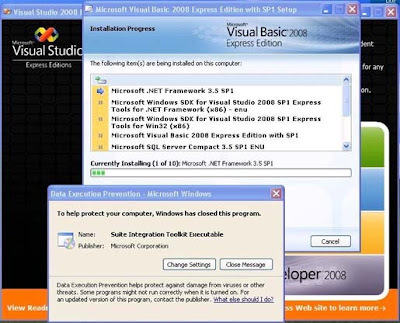 The program can be installed on most versions of Windows XP with Service Pack 2 or 3 and Windows Vista with Service Pack 1. An application called AutoCAD VBA Enabler must also be installed afterward. The first thing that jumps out at you when AutoCAD 2010 opens up is the large ribbon interface at the top of the screen. Introduced in the 2009 version, 2010's ribbon is chock-full of options that make it easy to find just about every tool or setting necessary. As reviewers were new to the AutoCAD world, the updated ribbon menus made experimenting with the program a little less daunting. Since this was a downloaded beta release, there weren't any manuals (print or electronic) to help guide us, so the explanatory menus were helpful in navigating around. After experiencing the tutorials in Autodesk's newest iteration of its Inventor Suite, we were disappointed not to find any built into this application. The help file did contain a link to tutorials on the company's Web site, but those hadn't been updated to the latest version yet. We suspect this will change when the program goes live. Without any background using it, AutoCAD was a bit overwhelming for us. Still, we quickly figured out how to create basic three-dimensional objects and change their textures. As with Inventor, intuitive tools allow the user to manipulate the design in a 3-D environment and view it from any position or angle. Unfortunately, we didn't have enough time to learn how to experience all of the capabilities of this powerhouse. Many of the new features are improvements of existing elements and include free-form design tools, constraint-based parametric drawing tools and enhanced PDF support. In addition, the program now supports 3-D printing. Autodesk Design Review 2010 is also available as a free download, and allows for an all-digital design review process between team members. Overall, in our short time learning to use AutoCAD 2010, it is clear that Autodesk is continuing to give its users what they want (or need). It is a mature, robust application that, although not for the layman, is designed to serve the needs of those who have a use for it. At the time of this writing, price and availability had not been announced. If you accidentally open a file with wrong program, you will notice the program used to open the file is added to the recommended program list. The reason is Windows remembers you have used the program to open it once. Once it is added, it will be there forever although it is not the correct program used to open this file. 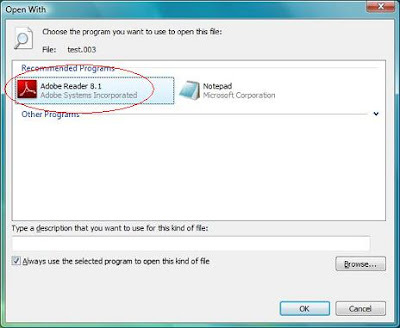 For instance, test.003 is supposed to be opened by using notepad, but if you accidentally open it with Adobe, so you will see Adobe being added to the recommended program list for all file with .003 extension. How to remove the wrong recommended program from the Open With window? 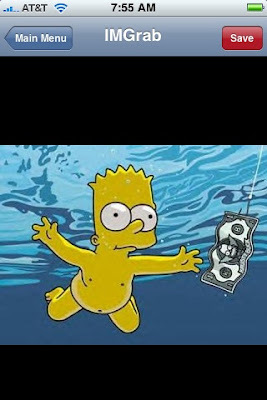 Here you can remove it by doing some simple tricks. If you are a computer geek or involved in IT professional job, you usually make custom Windows installation disc to as per your organization requirement that includes unattended installation, slipstreaming updates, optimize Windows OS for best of your office use etc. Then here is simple and straight tutorial that helps you to make bootable DVD of Windows Vista/Windows 7 as Microsoft do. 2. Now run WAIK Command Prompt as Administrator and execute the following command to make bootable ISO image. 3. 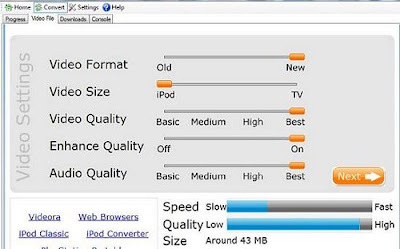 Wait for completion and then burn the image to DVD at lower speed to get better results. Microsoft has refreshed its lineup of DirectX offerings at the start of this week, and the company is by no means shy of focusing the spotlight on the evolution of the graphics technology as Windows 7 is contouring. The software giant is offering fresh Technical Previews of Direct2D, DirectWrite, and DXGI 1.1, but also a new TP release of Windows 7/Direct3D 11. The components are available for download as an integral part of the March 2009 iteration of the DirectX Software Development Kit, which is accompanied by the DirectX End-User Runtimes (March 2009) and the DirectX End-User Runtime Web Installer. 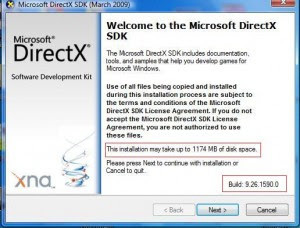 Microsoft delivered the first taste of Windows 7 DirectX 11 through the SDK back in November 2008. Obviously the releases are aimed at a professional audience. Developers will be able to leverage the latest release of the SDK, combining the DirectX Runtime and additional software designed to permit the building of DirectX compliant solutions. With the March 2009 DirectX update, Microsoft has refreshed the tools and utilities included with the software development kit, but also the code samples, documentation, and the 32-bit and 64-bit runtime debug files. “This version of the Windows 7/Direct3D 11 Technical Preview ships as part of the DirectX SDK and contains the following new features, tools, and documentation: Technical Preview of Direct2D; Technical Preview of DirectWrite; Technical Preview of DXGI 1.1,” the Redmond company informed. 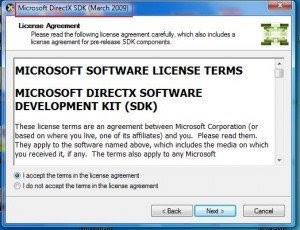 On top of the March 2009 release of the DirectX Software Development Kit, the Redmond company is also offering for download the DirectX End-User Runtimes (March 2009) and the DirectX End-User Runtime Web Installer. Documentation for the latter has not yet been updated on the Microsoft Download Center. DirectX End-User Runtimes (March 2009) is available in Chinese (Simplified), Chinese (Traditional), Czech, Dutch, French, German, Italian, Japanese, Korean, Polish, Portuguese (Brazil), Russian, Swedish, and English. “DirectX end-user multi-languaged redistributable that developers can include with their product. The redistributable license agreement covers the terms under which developers may use the Redistributable,” the company informed. 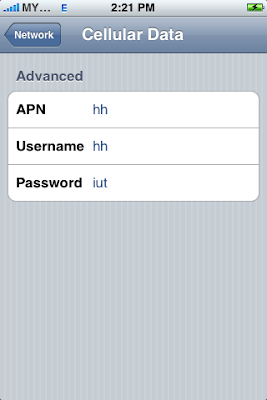 A step-by-step tutorial on how to enable the built in Administrator account. This works on XP and Vista. Do not use on any computer but your own. Alright so you have a problem with your computer or you just can not change anything within your computer because of inadequate privileges. For months I searched for the solution and I finally found it while scrounging around. I will teach you exactly what I had done to make this work. 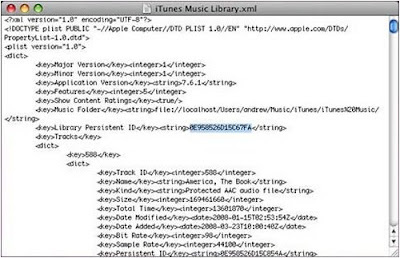 Alright so you want to create a Live CD and place TRK on that CD. The link for TRK (Trinity Rescue Kit) is Trinity Home.org. From their home page you want to go to the sidebar on the left and click "Download". You will be directed to a new page. 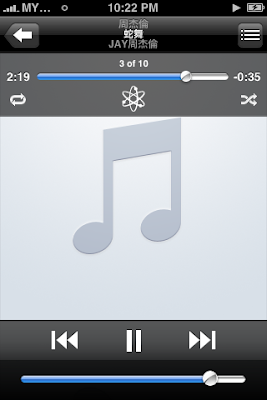 Scroll down until you see the latest version of TRK and click on any of the links to download. When you click the link a yellow bar will ask your permission to download. Click on it and click "download file..." Save to your desktop and then make sure you have a CD that can be made into a live CD. I have found that there are some CD's that you cannot write into a live CD. 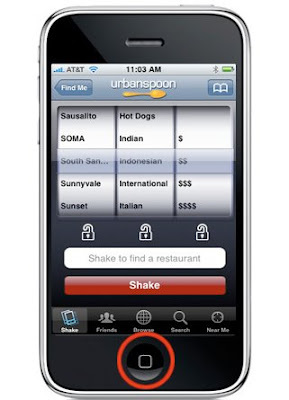 It will come up with a prompt that asks you to choose the location. 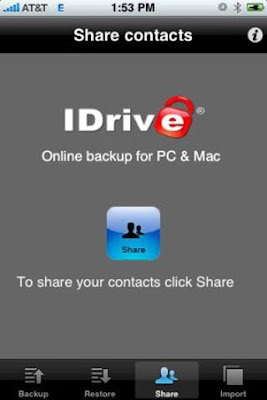 I have two drives on my computer and my os or operating system is installed on the second so I would press 2 to continue. 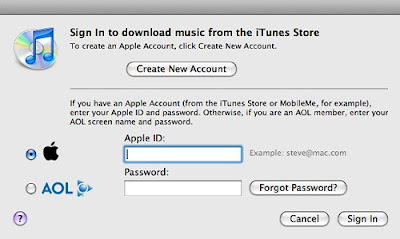 Your computer may be different so press the corresponding number for the account you would like to enable. This command will unlock the Administrator account but you are not done yet. After you get the prompt to continue press 4 and Y. This will save the changes and you will have your Administrator account unlocked. Press Ctrl+Alt+Del to restart. *Note* This works on A Macintosh computer if you have windows installed. Your computer should eject the TRK disk so take it out before it loads it again. On your logon screen there should be a newly enabled Administrator account. This is the built in Administrator account and you can change every setting on the computer.